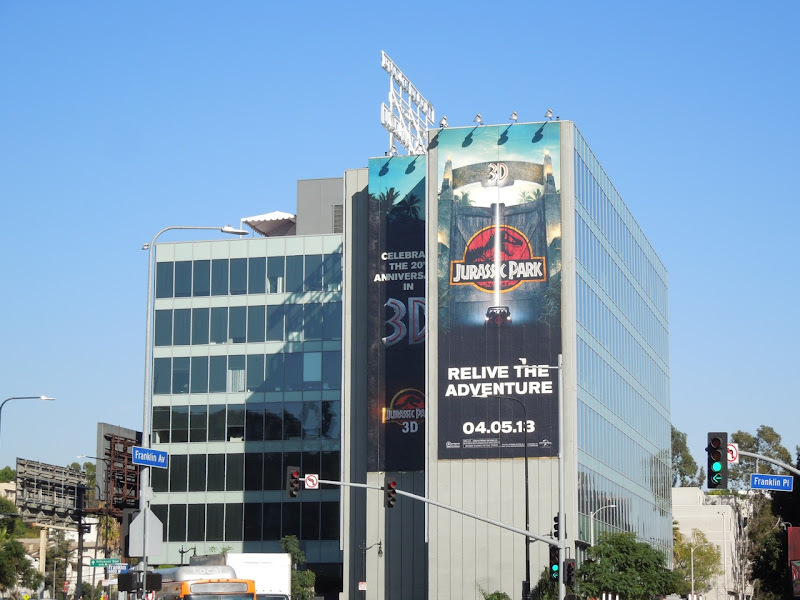 As if it has been frozen in amber all these years, Jurassic Park returns to the big screen in 3D this Spring. 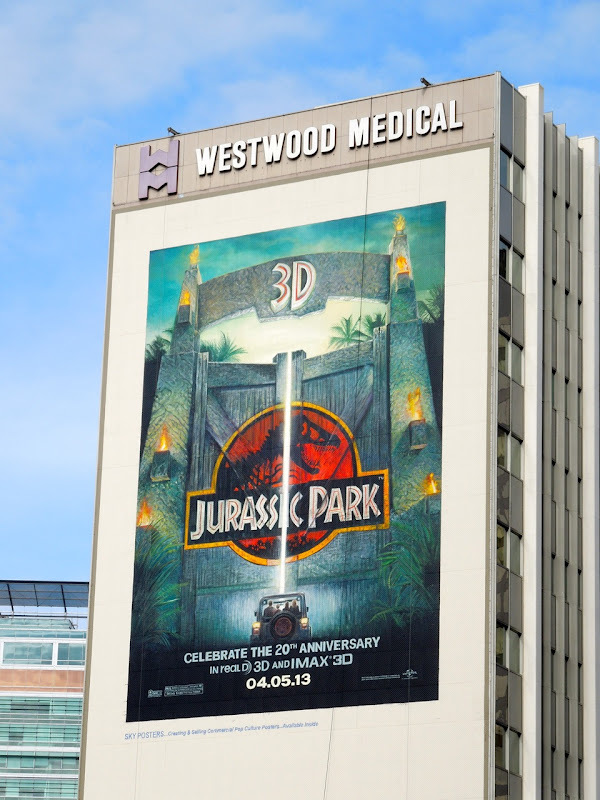 Will the prehistoric fantasy recapture audiences imaginations or is everyone so used to CGI creatures and 3D thrills that this 20 year old dinosaur movie will seem like an old fossil. 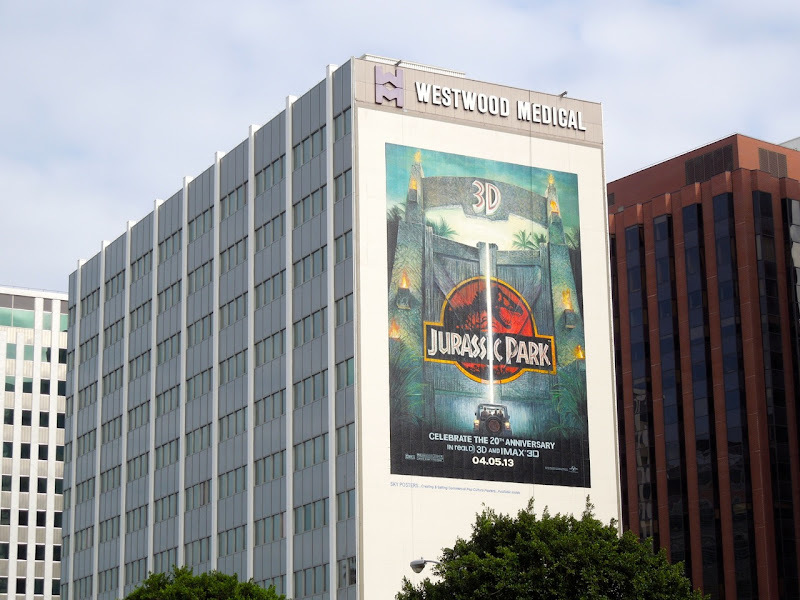 Aside from a chance to make some money relatively inexpensively at the box office and maybe sell some DVDs of the first three installments, it's also a great way to reintroduce fans and newcomers to the franchise before the rumoured Jurassic Park 4 lumbers into cinemas in 2014. 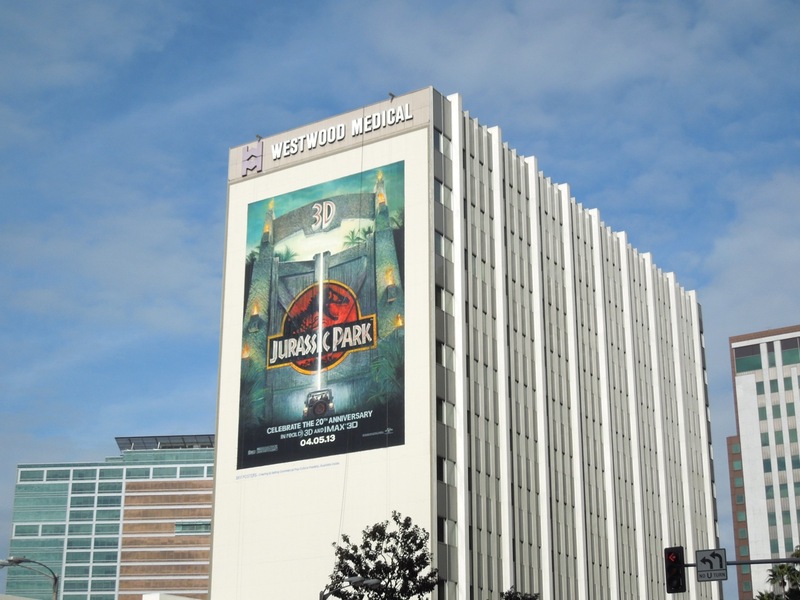 If you are a fan of the movies about the cloned dinosaur them park, be sure to check out these original dinosaur production maquettes used to help create the special effects in Jurassic Park on display. 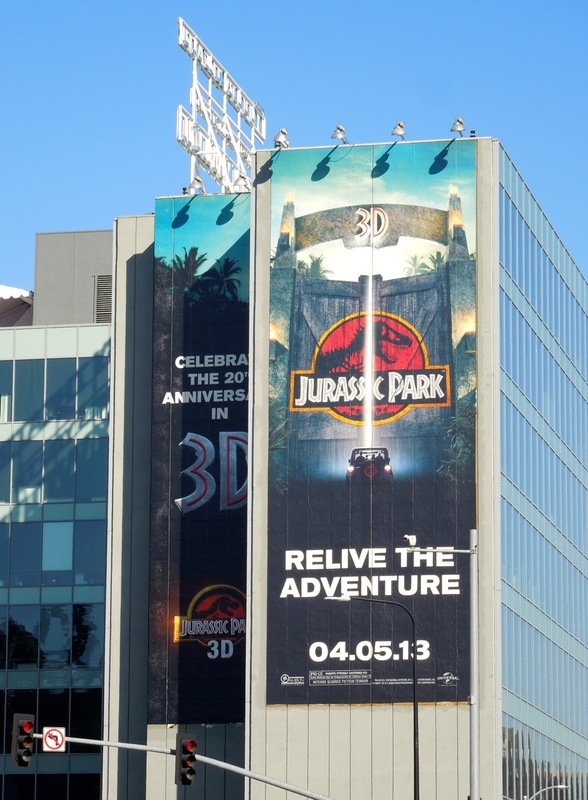 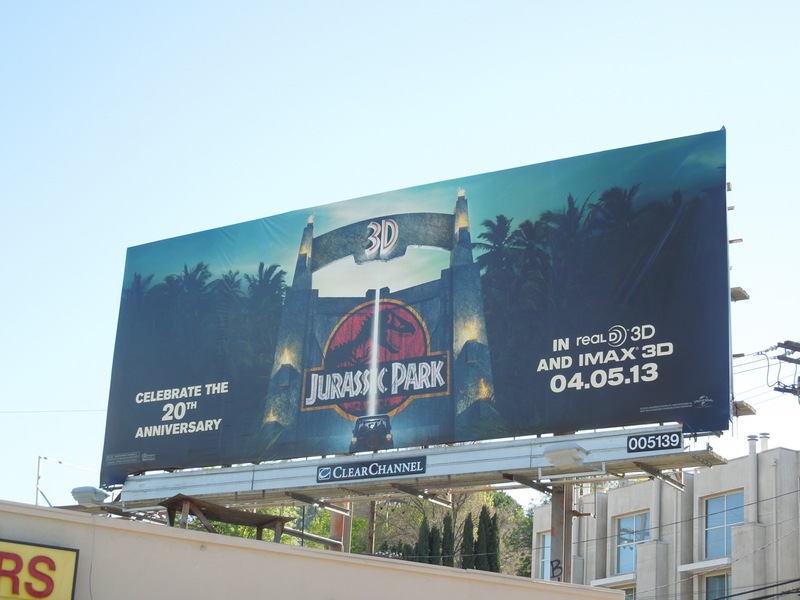 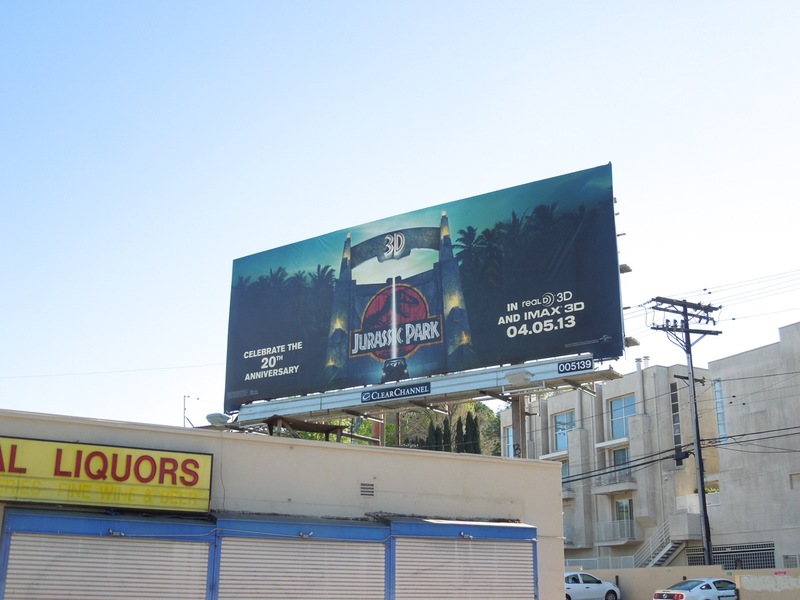 These 20th anniversary billboards for the 3D re-release of the movie were snapped along Highland Avenue, Ventura Boulevard and Wilshire Boulevard from February 25 to March 3, 2013.